Enfield, New Hampshire is located in the heart of the Upper Valley. 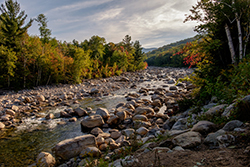 Home to Mascoma Lake and the Mascoma River, water has played a large role in Enfield's development, starting with the settlement of the Shaker community on Mascoma Lake and then to the Mill that was powered by the Mascoma River until it closed in the 1970s. Residents enjoy year-round recreation on over 3,000 acres of conserved land. Enfield is home to a vibrant arts community and it's small downtown continues to grow. Whether you're looking for a waterfront home or a home tucked in the trees, there is sure to be a place for you in Enfield. Learn more about Enfield! Scroll down to find all current real estate for sale in Enfield, NH. Contact us if you have questions or would like to learn more about a listing. Sign up to save your favorite listings and email updates when similar listings hit the market.